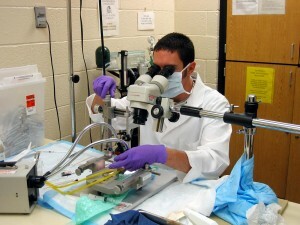 I am formerly a NIH PERT Postdoctoral Fellow in the Center for Insect Science at the University of Arizona. 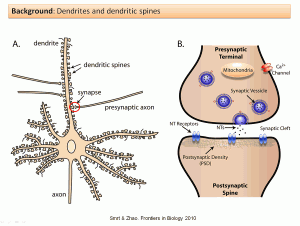 My previous research in the Zhao Lab at UNM focused on understanding the molecular and genetic mechanisms of dendritic and synaptic development in the mammalian hippocampus (Smrt et al 2007, Smrt et al 2010), specifically in a mouse model of Rett syndrome. Recently as a Post-doc in the Dept. of Neurosciences at Univeristy of Arizona , I used a combination of genetic and pharmacological approaches in Drosophila to understand how genetic and environmental interactions affect normal brain development. 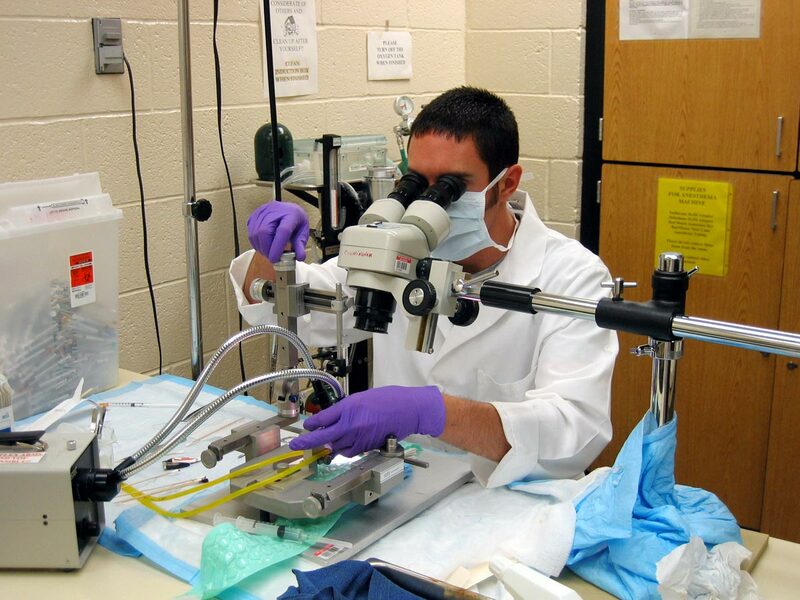 My long term goal as a minority researcher is to do both research and teaching in a university setting as a faculty member, and be a teaching mentor to other minorities and individuals underrepresented in science. 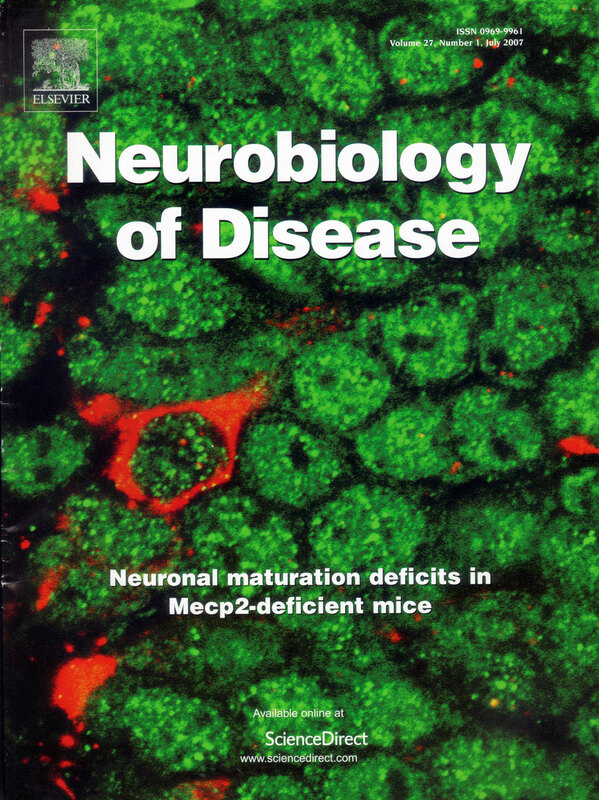 In my future research, I aim to collaborate with researchers and medical clinicians to better understand and develop treatments for developmental neuropathology. 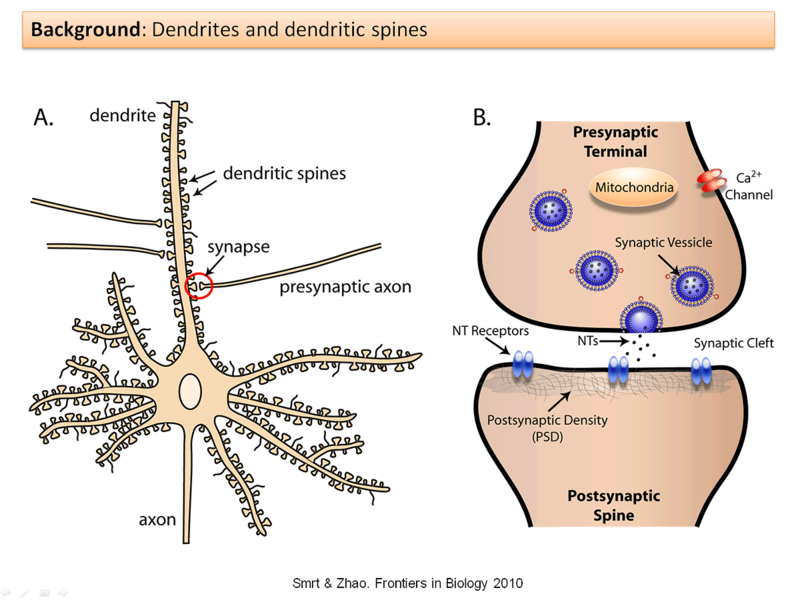 Illustration of the neuron, dendrites, and dendritic spines. Background slide from my PhD dissertation defense. 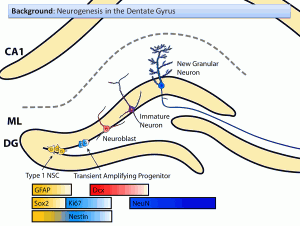 Neurogenesis in the dentate gyrus of the hippocampus. 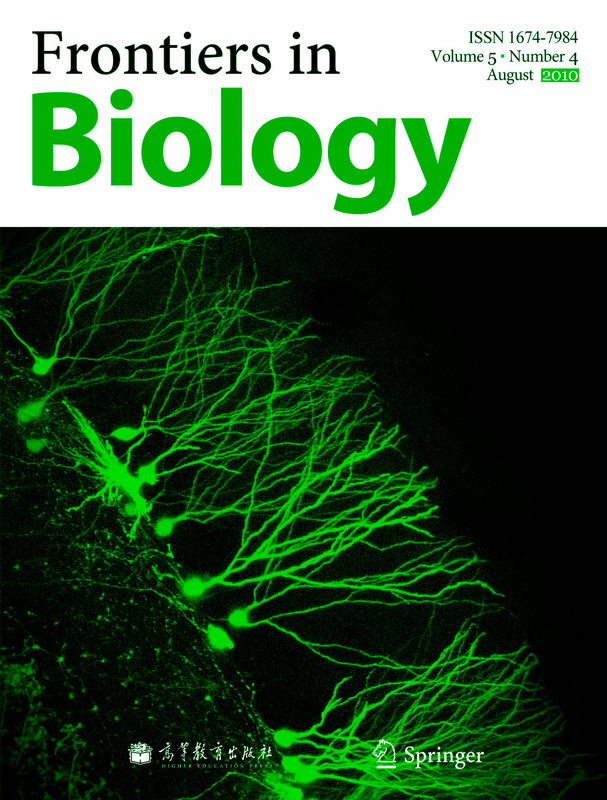 Yes, we do generate new neurons continuously! 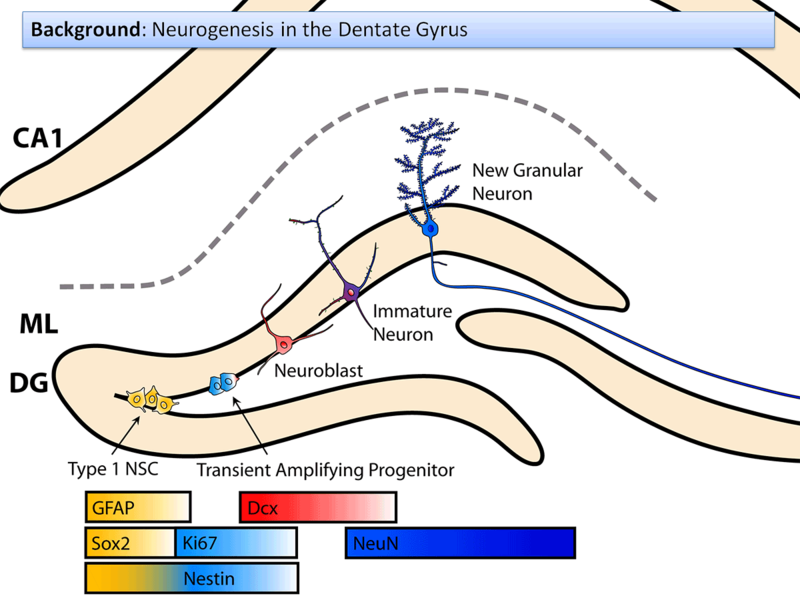 Background slide from my PhD dissertation defense.